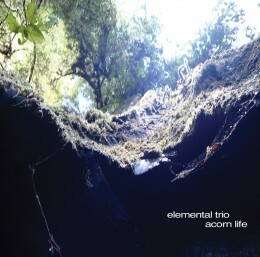 Sometimes dark and unsettling, other times light-bathed and uplifting, Elemental Trio offers refuge from a world that begs for genre specific music––the jazz influences are undeniable but Acorn Life is not entirely a jazz album; the rock appeal is apparent but Acorn Life is not a rock album. But it is beautiful, meditative, and memorable. Whimisical and childlike, the music of Elemental Trio is compatible with other Lord-led projects including Francis Moss, The Wonder Revolution, and Solagget.